Most times in the development space, we have to look beyond headlines and taglines and focus on lessons from pieces and lives. I read Prof. Pius Adesanmi’s keynote address titled “Iyalaya Anybody: Pencils, Nigerian Innovation, & Africa’s Path in the 21st Century” delivered last week in Lagos, Nigeria. Beyond the ostensibly ‘obscenity’ that may come with the title, he distinctively approached the theme of innovation and the development of the African continent with conscientious audacity, thought-provokingly. The world is changing. Innovation, knowledge-based growth, vision and corresponding actions are important factors for national development – in this case, I prefer to say continental development. While I applaud futuristic initiatives as the United Nations Agenda 2030 and the Agenda 2063 of the African Union, we need to place all hands on deck to innovate, act, review our actions, evaluate progresses and further scale up development. Like I shared with a colleague some nights ago, these ‘Agendas’ are achievable, if like the United Arabs Emirate, we – among other things – build strong institutions, promote strong societal values embedded in a culture of excellence in leadership and responsibility, invest in education and human capital development. No nation ever moved up the development ladder by trivializing inclusive governance and human capital development. We get to respect and appreciate the borderless possibilities that exist only when we try; when we try to live responsibly, knowing that the fate of the African continent depends largely – not only on the actions of her governments but also of her young people. For several days, I have been opportune to meet and interact with some of the brightest young minds in the continent. One thing they possess in common is an audacity to change the narrative. 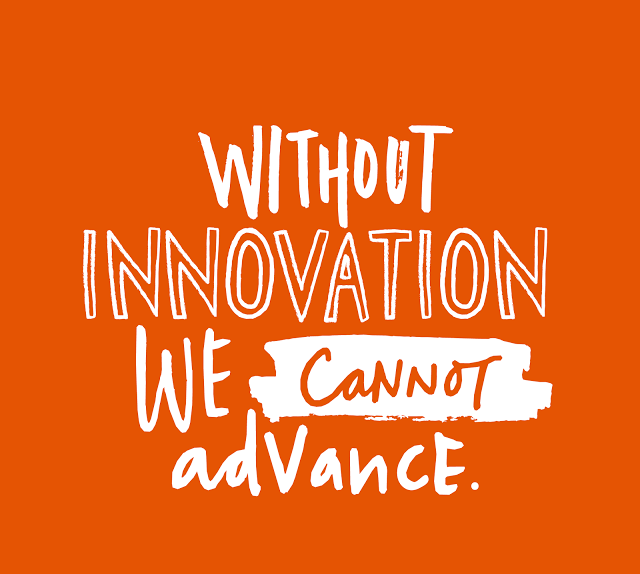 Whether through entrepreneurship, civil society leadership or public management, they can be dubbed as ‘innovators of the public’ – apologies to Ashoka, solving some of the various problems in their various spaces across the continent, with or without public institutional backing. A visionary leadership in all countries in Africa positively encouraging youth innovation is unarguably an answer to the question of how we may live in the realities of the envisioned Africa come 2063. Some other questions are worth answering: do we have to wait till 2063? Can we get Agenda 2063 achieved years before the deadline? Can we learn from the successes and failures of the Millennium Development Goal/Agenda (MDG) and commit ourselves to the task at hand? Can we harness the innovative prowess of our young people, in an environment that promotes creativity, innovation, peace, mutual respect and dignity? Can we recheck the foundation laid in anticipation of development, and mend or re-lay weak ends for this and future generations? Can we be truthful to ourselves and review our preparedness for the journey? Can we consciously encourage home-grown youth-driven innovations? The experiences of several other innovative young Africans sometimes make me imagine the level of progress we might have further made, if we had better climate that genuinely supports what we do. However, I resonate with Prof’s opinion that the absence of this climate can result in positive doggedness and a resilient positive attitude raised to a square of what is required in other societies. Another important factor, we must learn not only to change the narrative by doing, but also by telling. We need to tell our own stories. We need to encourage ingenuity. Recalling the story of Dziffa Akua Ametam, the 23 year old founder of the Ghana-based e-commerce platform, Dziffa.com, whom I met at a Breakfast meeting recently, and the stories of several others, we are reminder that while changing the development narrative, we need to be proactive in telling our story; what my friend, Adenike means when she advises on blowing your trumpets. While rankings, fellowships et al may be helpful, we need to go beyond that and have a strong record system. It is in this light that I feel the toils of Jidenma’s Celebrating Progress Africa, Innovation Prize for Africa, Africa Rizing’s Watch2016 Rizers listing, African Youth Awards, YouthHub Africa, The Future Project and others within the continent and in diaspora. We need to be, and do much more. We have a good journey ahead. We can go farther when we hold hands and hearts. In work. In Values. In results. For Africa. Whilst it got me going, I sense in it a lack of conviction that the Youth potential will really be realised may be because "how" is unclear. Perhaps the story told here is being held back by the same impeded mobilities that the article blames for Nigeria's slow progress.